When we see how loving-kindness (metta in the Pali language) makes all the difference in our lives and in our relationships, why is it sometimes so difficult to muster? When we practice sending metta we are activating our natural sense of generosity. This generosity comes in part from understanding the nature of impermanence. We see that all we ‘own’ is temporal, not ours to begin with, and not the source of our happiness in any case, so there is only suffering in clinging to it. This frees us to be open-hearted and generous. We still use common sense in managing our affairs, but we can do it with a different attitude. There’s a great Sufi expression: ‘Trust in Allah but tie your camel.’ We can find a balance between sensing the oneness of all that is and being responsible for the physical well being of ourselves and our dependents. The art of doing so is addressed within the Buddha’s Noble Eightfold Path. Because in our lives we manage finite resources, making hopefully intelligent fiscal choices, we may approach sending out loving-kindness in the same way, as if it is a finite resource we need to manage. When we think loving-kindness is finite, we mete it out in careful doses, perhaps only to those whom we care deeply about, those we see as having the greatest need or those we deem the most deserving. It’s so important to realize that metta is not a limited resource. This took me a long time to realize. 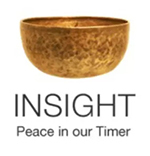 Insight came one day when I was riding in our car going over the Richmond-San Rafael Bridge, and I was wrapping our car in loving light as I often did since long before I began studying Buddhism. Then I recognized that just wrapping our car — just sending metta to us — was not very loving or kind. So I extended it out to the vehicles around us, and then beyond to the whole bridge, then the whole highway of vehicles coming and going in both directions. That’s true! In the case of all of us driving along the freeway, it might be a statistical probability that some percentage would crash based on what has happened in the past, but that is all subject to causes and conditions. What if a fundamental condition changed? For instance, what if it became more common than not for us all to be fully conscious, fully present while driving? Statistics show that 80% of all accidents are caused by distracted drivers. So if everyone were paying attention, the likelihood of a crash would be greatly reduced, right? Then consider what would happen if everyone felt a palpable sense of connection with all other beings? What if we didn’t think of ‘that jerk in the other car putting everyone in danger’ or ‘that slow-poke keeping us from getting where we want to go on time?’ What if, instead, we felt compassion for them, a compassion that comes from a sense of connection, maybe simply from knowing what it is like to be reckless or overly cautious ourselves at times. Then the probability would increase that there would be neither jerks nor slow-pokes. Instead we would move together like starlings in a murmuration, capable of phenomenal flights in dense airborn communities, flying as one. Okay, you may say that this is unlikely to happen. But the realization that it is possible gave me the freedom to let go of that locked in belief that somebody has to be sacrificed to the statistical probability of accidents. So I was free to be more generous with sending metta to all. I had one meditation teacher who was apologetic about leading metta practice. She was a young woman, a brilliant explainer of concepts, but she was uncomfortable with surrendering to such an open-hearted practice. She would tell people she knew metta wasn’t ‘cool’ and might feel too treacly sweet a practice. It was something she was struggling with. She preferred the more intellectual aspects of Buddhism. Metta is by definition all heart. We don’t all come to any aspect of practice with the same attitudes. If sending loving-kindness seems beyond your ability, then notice that, investigate your assumptions if it feels right to do so. You don’t have to justify your feelings and certainly you don’t want to force yourself to change. But you might consider the possibility that a practice that is awkward because it doesn’t come naturally, might be the very one to bring balance into your life. Just a thought. Traditional metta practice always has us begin with ourselves first. People often have a problem with this instruction. They feel it is selfish. But is it? Well, it might be selfish if it were a finite resource. If we cooked, sat down and fed ourselves first before offering any of it to others at the table, that would certainly seem selfish not to mention rude. But consider: What if we served a meal on dishes that hadn’t been washed? That would be beyond rude. It would render the meal unpleasant if not inedible. We could think of sending metta to ourselves first as part of the preparations of a meal, cleansing the vessel through which we offer the loving-kindness to others. Or we could think of it as tasting it first, as cooks do, to assure that the metta we are offering is indeed infinite loving kindness, not full of the hard to swallow and digest fear-based tightness that congeals our hearts. That said, I encourage you to not just ‘taste’ the metta, but to receive it fully. Another analogy that is often used is the airline instruction to put the oxygen mask on yourself first before putting it on the child in your care. Why? Because if you pass out you will be unable to be helpful. Likewise, if you are cut off from a sense of connection with loving-kindness, then how can you possibly offer it? Sending metta to someone else first is not sending true metta at all. It’s just being nice and is kind but usually comes with caveats. It hasn’t been fully received so it doesn’t come from that infinite source. How can we be a conduit for something we haven’t opened to fully? Resistance to giving metta to ourselves first may come from a belief that we are not worthy of being loved. If this is your challenge, you might picture yourself as the small child you once were. If that is difficult, get out a baby picture to remind you of how truly lovable you are. Allow yourself to look beyond the judgments you carry and simply focus on that child. This is still you. You are still the lovable being you have always been. If you say sure, cute kid, but look at what a mess I made of my life; remind yourself that errors in judgment made before you were thirty were made by a not-fully-formed brain! You’re off the hook. A little forgiveness please! Errors made later may not have that excuse, but certainly you can find ways to learn from them to live a more balanced, loving and ethical life from this moment forward, rather than beating yourself up again and and again. If sending yourself metta is still too difficult, skip that step for now. Send it to someone you care about without exception, for whom you have wholehearted affection. Then pause and notice how that feels in your body and mind. See if you can activate that feeling for yourself as well. If not, then go on and send metta to all beings, and if you can be wholehearted there, remind yourself that you are one of those beings. You are an intrinsic part of all that is. It also helps to remind ourselves that throughout the world at any given moment, someone is sending metta out to all beings, including us. After we send ourselves metta with phrases like May I be well. may I be happy. may I be at ease. may I be peaceful, we may send it to someone who comes to mind who is in particular need of lovingkindness right now. To them we say words like May you be well. may you be happy. may you be at ease. may you be peaceful. And, because the nature of metta is infinite, it grows and glows, expanding out to shine its radiant loving light into even the darkest places. It encircles the earth in its loving embrace and continues to grow without ever dissipating. Extended traditional practices of metta may include a ‘neutral’ person and a ‘difficult’ person as well. It’s important to notice when sending metta to different people feels different. We may notice the physical sensations shifting, maybe tightening or numbing out, as we move into sending metta to someone for whom we have mixed feelings or no particular feelings. This noticing of how our thoughts and emotions affect physical sensation is a vital part of our practice. In general we just observe this, but in the case of sending metta we can actively dip back into the softened more spacious body sensations we had when sending metta to our ‘easy person.’ We are not forcing ourselves to feel what we don’t feel, just noticing and allowing ourselves to acknowledge that we have the capacity to be that spacious and open-hearted. What makes that shift from being soft and open to tight is at least in part this belief that metta is finite, but also that not everyone deserves it. This belief becomes even more pronounced when we come to the next step in sending metta to someone very close to us with whom we struggle, a political figure or a criminal for whom we have strong negative emotions and perhaps lots of judgment. This is where many people bristle. Why in the world would we want to send loving kindness to someone so undeserving? Someone we may see as an enemy or a monster. It helps to think of metta as the sun that shines light on everything in its path. The sun is not picking and choosing who is worthy of sunlight! The sun cleanses all it touches. So does this infinite loving-kindness. We, being human, with our complex collections of experiences, patterns and emotions, carry the weight of our beliefs. Metta practice can soften our brittleness. Mindfulness practice can give us the clarity to see and disentangle some of the mindless and perhaps heartless patterns. Metta is not a reward. We do not have to earn it. We have no agenda or specific goal in mind in doing this, other than being open conduits of loving energy. Our own sense of compassion may rise up out of understanding that there are many people in the world who have never sensed this loving-kindness, who have always been constricted in fear, whose energy is compressed and therefore volatile, ready to explode. We may judge their resulting actions and resonate with that negativity, and so we react by trying to block their access to this universal kindness. But if we sense into our body and feel the tightening and constricting, we know immediately that this is not the answer. The answer is always to access metta and allow it to inform our actions. Once we have found a way to send metta to ‘difficult people’ then the way is clear to send it to all beings. May all beings be well. May all beings be happy. May all beings be at ease. May all beings be at peace. Through sharing metta we feel our connection to all life on our little blue planet. We perhaps feel a tenderness for all beings — not just for the cute and cuddly ones, but for the ones who may be hard to look at because they are so beaten down, and also for those who, in their state of such extreme disconnection, do the beating. When we do metta practice we enhance our capacity to access awareness of infinite loving-kindness, acknowledged by all the world’s spiritual traditions in various names. In this way we can hold the world in an open embrace, deeply understanding the transient nature of all matter, coming together and falling apart. We can actively participate in the rich play of impermanence, using our ability to conduct infinite energy to activate peace, joy and gratitude. This entry was posted in loving kindness, lovingkindness, metta on April 12, 2019 by Stephanie Noble.